The guys at Red Label brought us a very cool Honda CRF450R that we had to share. Mark Tilley shot the bike for their catalog at our freshly rebuilt studio–it had been flooded in the recent rains, and after a few days of scraping mud, the Red Label bike was the first subject. This bike is certainly beautiful–that’s what Red Label does best. But beyond that, it’s loaded with parts that we don’t see too often. There are carbon fiber goodies from P3 as well as an Italian company called CMT Compositi. The motor has mapping from Tokyo mods, and a full titanium/carbon pipe from Yoshimura. Hinson built the clutch, and Boyesen makes the clutch cover. The levers are from ARC and the brake pedal and shifter are from Hammerhead. 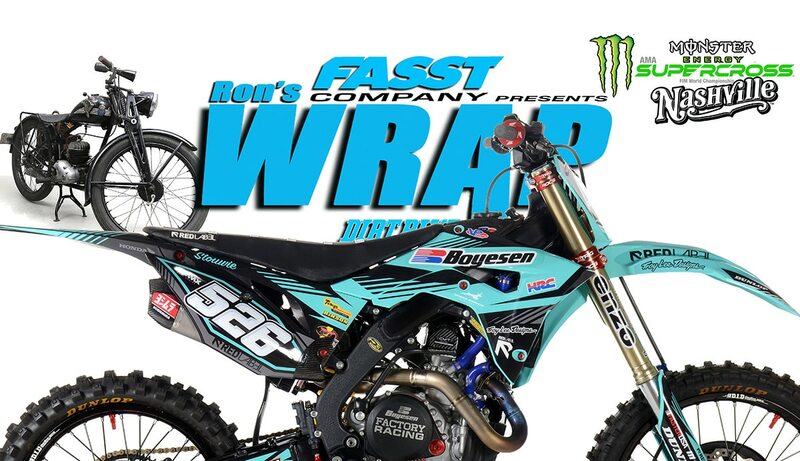 What really sets the bike of is the black power-coated frame and the FasterUSA wheels. Go to RedLabel.MX to check out more of their stuff. 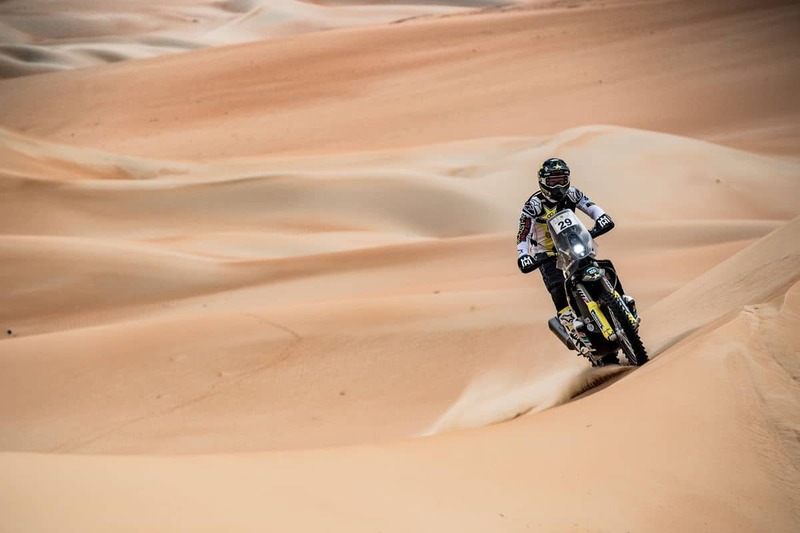 Andrew Short was fifth at the end of the five-day Abu Dhabi rally. Sam Sunderland. Photo: Rally Zone. 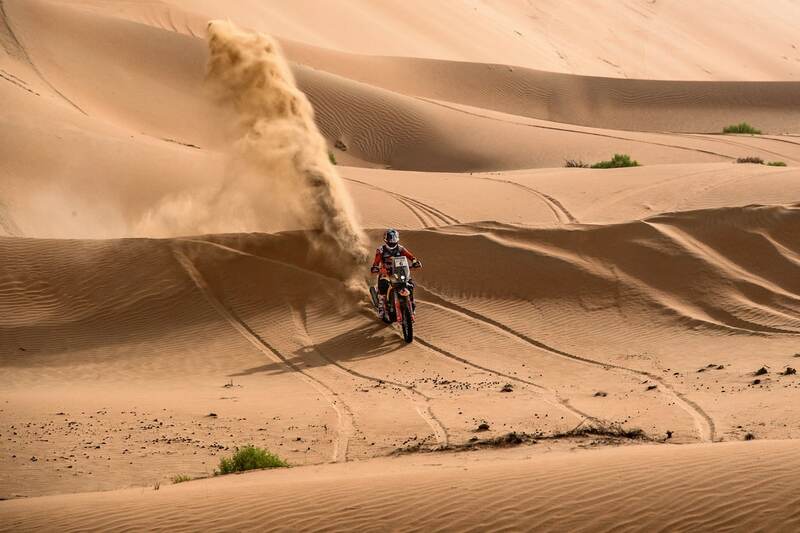 The rally was won by Red Bull KTM rider Sam Sunderland, who is a past winner of the Dakar rally. 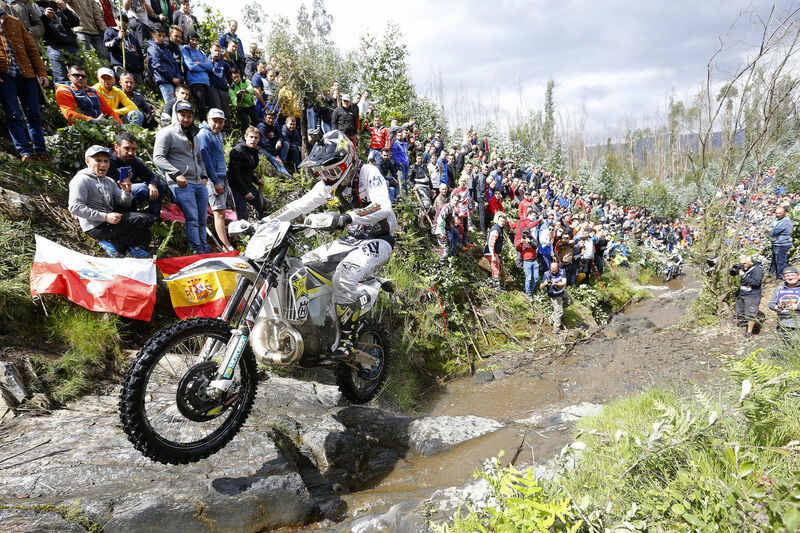 Contrary to popular notion, Dakar is not a part of the FIM Rally championship–it’s a stand-alone race. America’s other rally star, Ricky Brabec, did not attend Abu Dhabi. This week’s AMA Supercross is special because it’s the first one ever held in Nissan Stadium in downtown Nashville, Tennessee. If you don’t have the NBC Gold Supercross package, you can check out the live coverage here at www.dirtbikemagazine.com, starting with qualifying results at 1:00 p.m. eastern time. Click the image above for extended coverage of the 2019 Nashville Supercross. Kenneth Olausson is the unofficial historian for Husqvarna and he produces a regular feature called the Husky Good Old Time Blog. This week he has found come good material on the Husqvarna Angel Wing, which was the post-war motorcycle that really resurrected the company. It was a truly mass-produced motorcycle, with around 100,000 units produced. There were several versions, but the final one was 120cc two-stroke called the Model 30. Click the image above to read the full story. 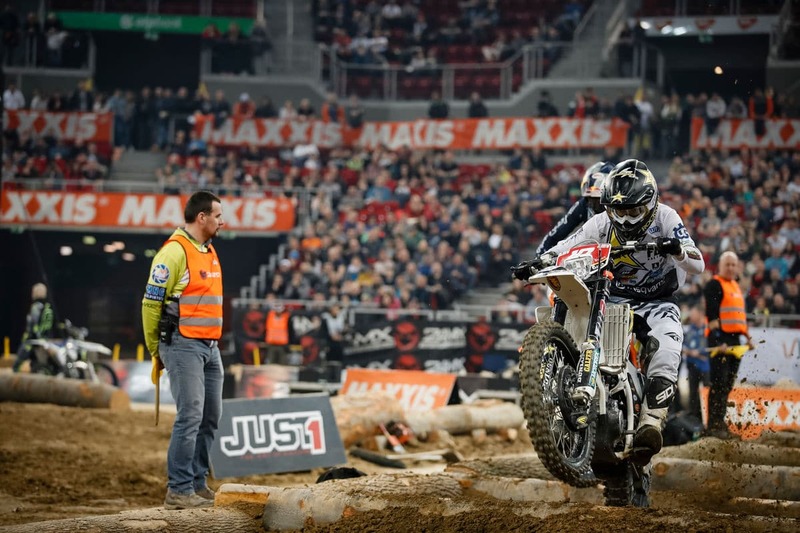 Colton Haaker might become a three-time world champion tomorrow!The misfortunes of Cody Webb and Taddy Blazusiak during the third race in Madrid in February allowed Colton Haaker to build up a small advantage going into the final round. Haaker is now 12 points ahead of Webb and 27 ahead of Blazusiak. The riders will have three 6-minute races + 1 lap to do it. Colton Haaker at the Extreme XL Lagares in 2018. Right after wrapping up the SuperEnduro season, many of the same riders will have a few weeks to rest up prior to the start of the World Enduro Super Series, which is about to start its second official season. The first race is in Portugal on May 10. Unfortunately, Cody Webb and Colton Haaker will not ride that entire series in 2019. They both plan on riding round 3, of course. That’s the Erzberg Rodeo. But several later rounds conflict with the U.S. EnduroCross series. Alpinestars has teamed up with influential fashion brand Cactus Plant Flea Market to release the Limited Edition ‘Cactus’ Gear Set. 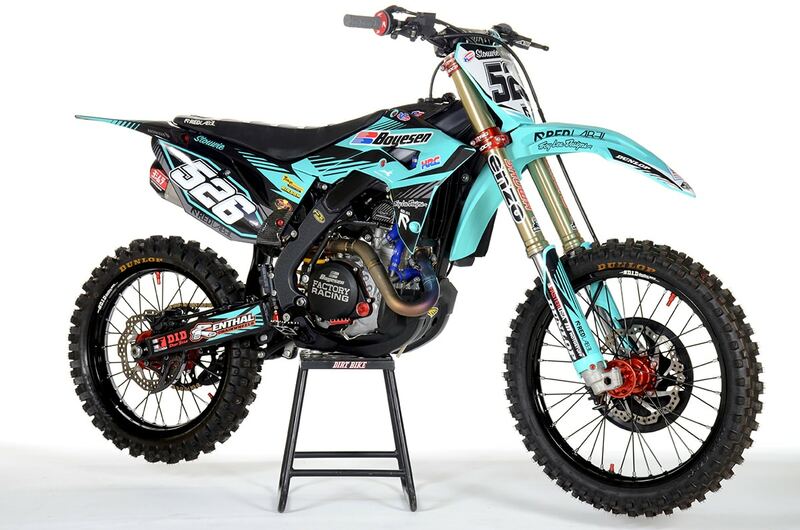 It will make its debut at the 2019 Nashville Supercross with Eli Tomac and Justin Barcia. 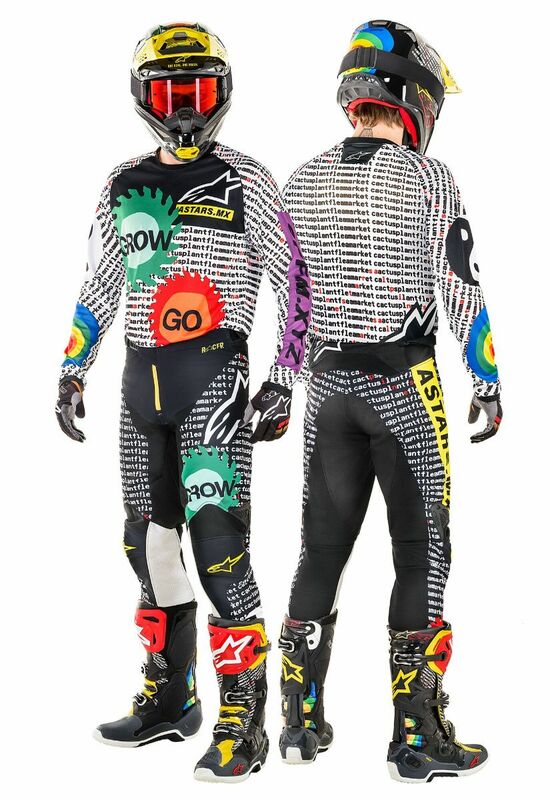 Click here to see more from Alpinestars.